A hidden gem from Disney's. At last... the best of Sunday night TV is back! It's the legendary TV show popular with audiences for 29 years. The longest-running prime-time series in television history (1954-1983). The winner of numerous awards, including seven Emmys. It's THE WONDERFUL WORLD OF DISNEY! THE BLUEGRASS SPECIAL is a heart-tugging story about a young girl with a very special dream. Woodhill, a beautiful race horse, has a bad reputation. He threw and injured his rider in a race in Tijuana. 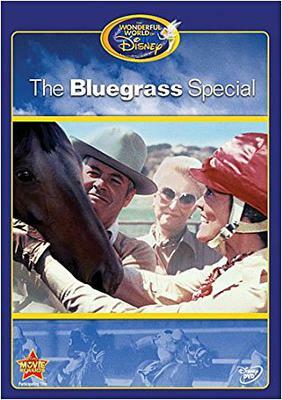 Penny, a teenage horse trainer, dreams of becoming a jockey, and she picks Woodhill to race in the upcoming Bluegrass Special. Penny's devotion and determination are an inspiration to anyone who believes that dreams can come true! Your turn! List of Favorite Horse Movies.